This is a guest post by Nils Bier, Customer Success team lead at K15t Software. He has been working to help technical communication teams by using Atlassian tools and Scroll add-ons for 5 years. Technical documentation is an invaluable resource for your users. And with fast-moving development teams and product release cycles, it can be a challenge to keep your documentation up-to-date, accessible, and looking professional. Collaborative editing in Confluence is a great way to meet the challenge of making your documentation process truly agile. But what’s the best way to then deliver these docs to your users? Providing users with an online version of your technical documentation is fast becoming a requirement for good customer service. But publishing docs online means that companies need to address a couple of key aspects if they want their online docs to be an asset for the brand. Efficiency: Exporting technical documentation written in Confluence and hosting it on your website or help page should be an efficient process (especially for agile dev teams). The rule should be to avoid duplicating documentation (no copy-pasting!) whenever possible. Staying up-to-date: Your online documentation needs to stay up-to-date. There is no point in providing your users with inaccurate documentation. As a best practice, the documentation on your website should be automatically sourced from your documentation in Confluence. Corporate design: Every touchpoint users have with your company – including your website – has to adhere to certain design guidelines. Apply the same rule to your online documentation, making it recognizable and allowing it to elevate your company’s brand. Responsiveness: We live in a digital and mobile world. Your online documentation, just like the rest of your website, needs to be responsive if you want to provide your customers with a proper information experience across multiple devices. As time goes on it’s heartening to see more and more examples of organizations that deliver truly great technical documentation experiences to their users. Here are a couple of companies that publish their Confluence-written tech docs online. We all need to find answers to our questions, quickly. 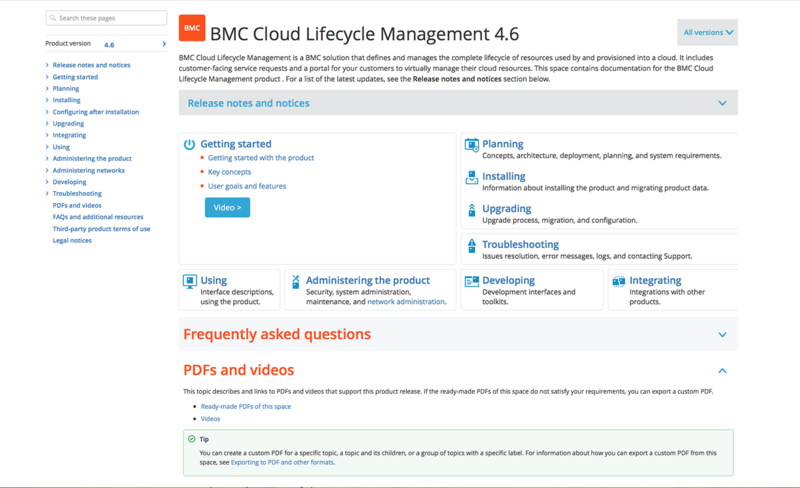 BMC responds to this need by enhancing their documentation with expand macros and clear content overviews. 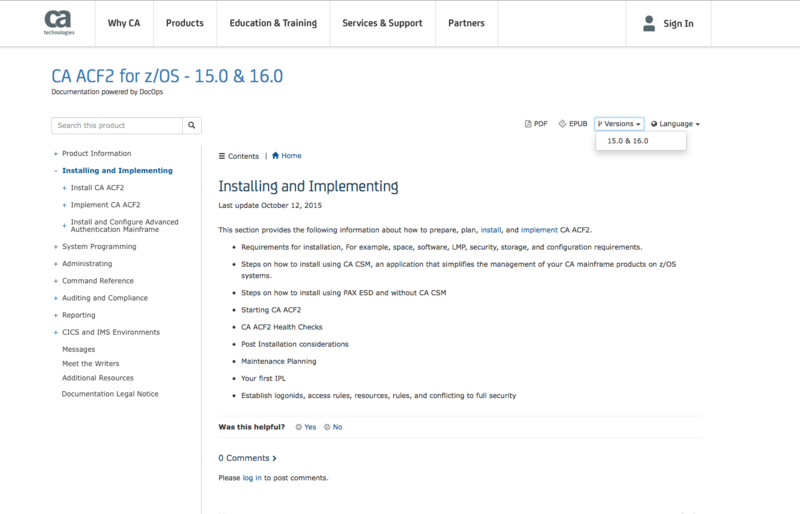 CA Technologies not only provides their extensive documentation in multiple languages and versions, but also gives their users the option of commenting. This social function allows users to pose questions or suggestions and give valuable input. That way documentation actually becomes a real customer service touchpoint and gives their tech writers the chance to continuously improve their documentation. Navigation is an essential part of a user’s experience. 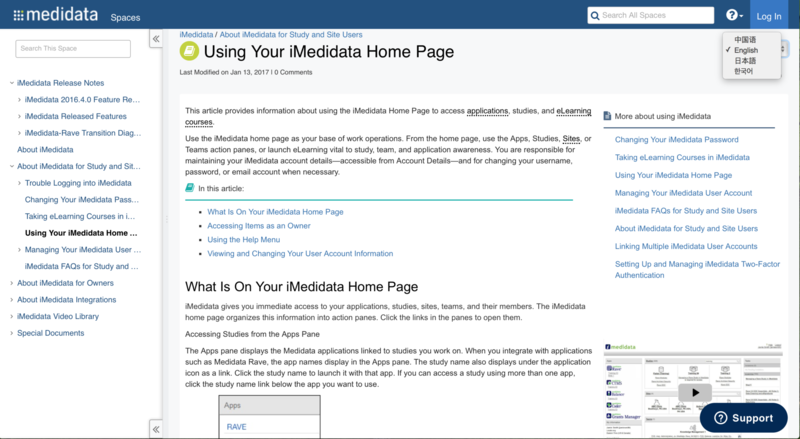 It is clear that the Medidata technical communication team understand this very well, as they not only provide a page tree and further content suggestions, but also use anchor shortcuts in their documentation. It definitely helps users find the doc content they are looking for more quickly. It’s obvious that NimbleUser’s documentation isn’t just styled according to their design guidelines but also features a very clean and organized structure. These attributes also apply when viewing their documentation on a mobile device (three cheers for responsive design). K15t Software, an Atlassian add-on vendor and my employer, also uses Confluence to write technical documentation. Our process encourages technical writers to add not just image but video content in Confluence, providing users with a rich choice in how they want to consume the published information. All of these companies have chosen to use Confluence as their home for online technical documentation that also lives online. With that ability to both edit and publish right from Confluence, there’s no need to duplicate content in a different CMS. In order to publish their technical docs directly from Confluence to their web space, they utilize an add-on called Scroll Viewport. It adds a customized web theme layer on top of your documentation that doesn’t interfere with writing tech docs in any way. This makes for an efficient publishing process that allows you to style your documentation space so that it exactly matches your design guidelines, offers a responsive viewing experience and seamlessly integrates into your website – without changing or adding complication to your internal Confluence UI. 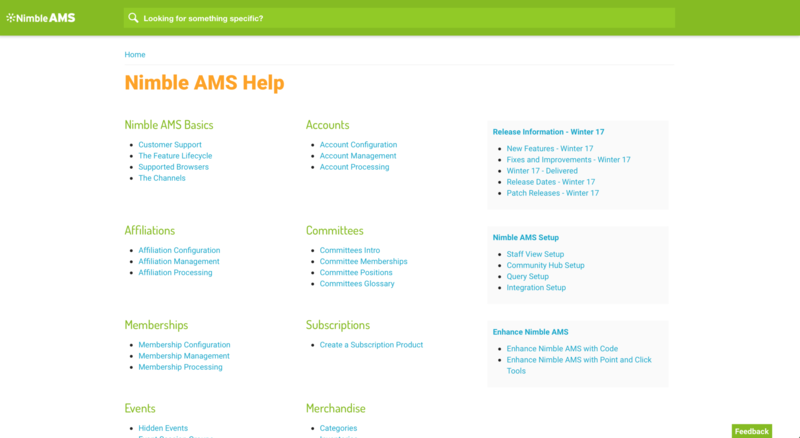 This is a guest post by K15t Software, maker of content management add-ons for Confluence and Jira, available in the Atlassian Marketplace.